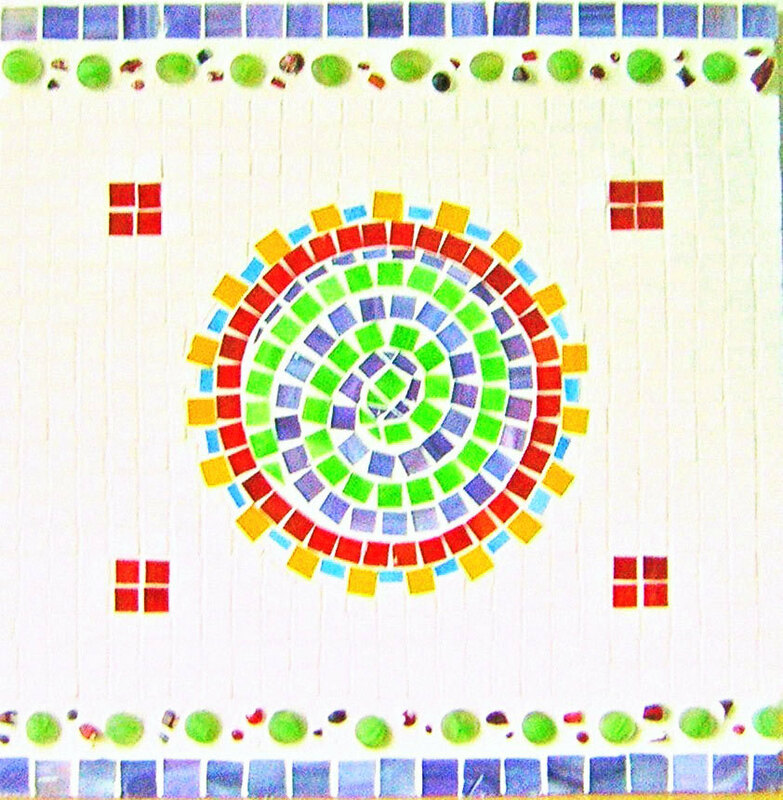 Custom, handmade backsplashes sold in standard sizes of 12 inch squares but can be customized to any size, design and color. 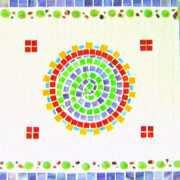 Made with glass tile glued on to 1/4″ Hardee backer cement board. 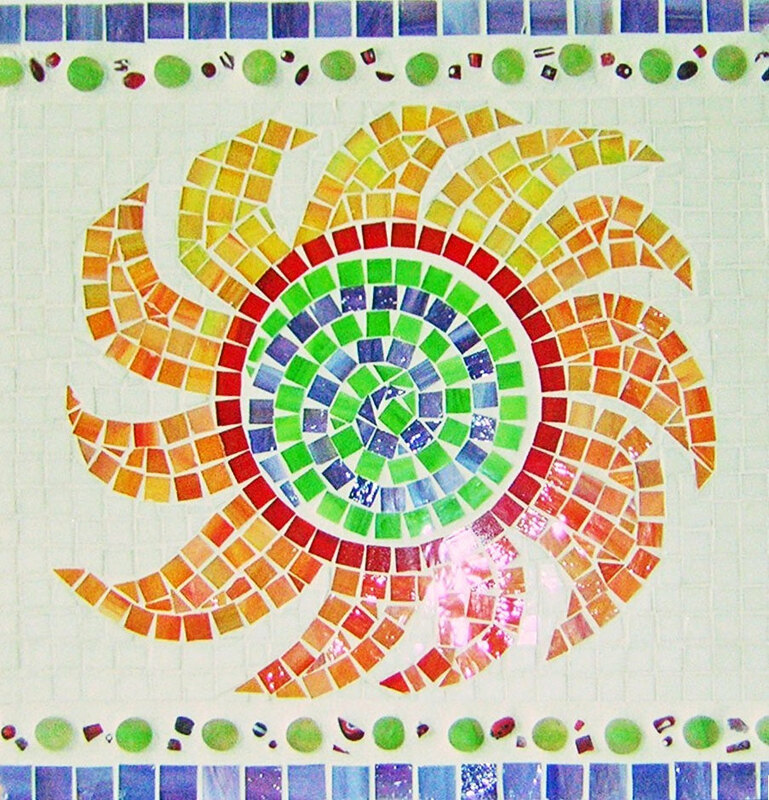 Any design available in our shop can be applied to a backsplash. Please browse through. 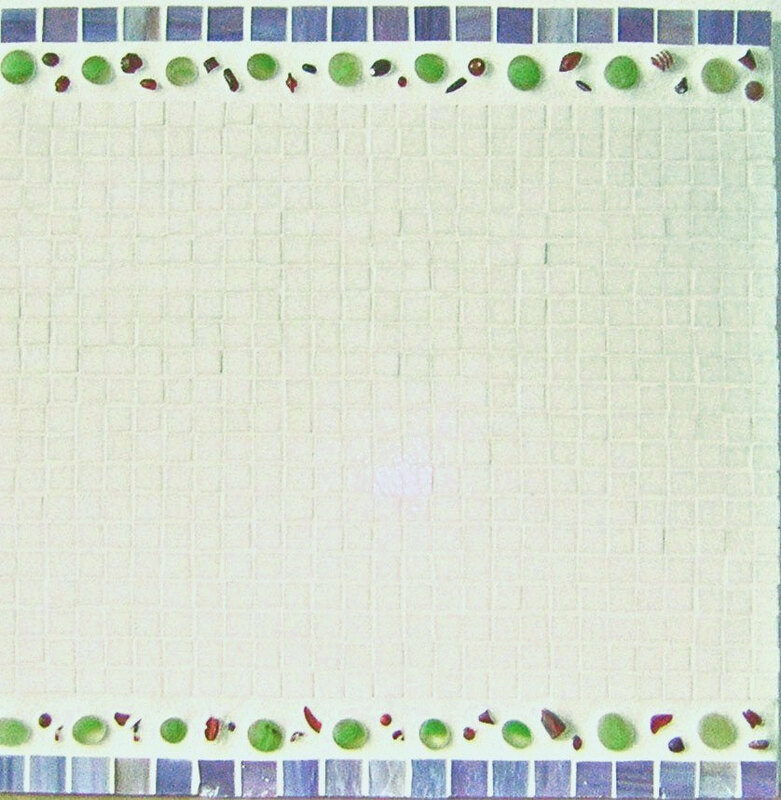 Easily installed using thin set/mortar or any tile adhesive and glued directly to your wall. Once the sections are set, 24 hour drying time, you can then choose from the two options offered. Sections delivered grouted. Seams where sections meet,once installed, will need to be filled in with the same color grout used to grout your backsplash sections. 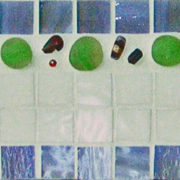 Tile adhesive and grout colors to match are easily available. 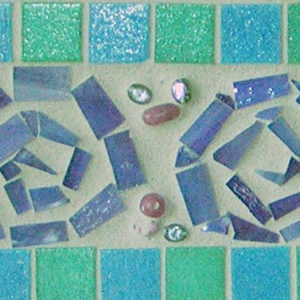 Receive your sections un-grouted. 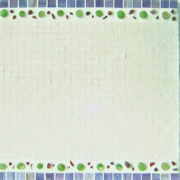 Glue your sections directly to your wall and grout the glued sections all at the same time. Contact us for information and all custom orders.